If you're reading this article then you're probably looking for some tweaks you can make to your website to help you make more money online. With the speed of technology and constantly changing/cutting edge online marketing tactics, it can be hard to keep up with what's working right now, what's proven to work, and what are the passing fads that you should just ignore. Once you have determined your site objectives and how you will make money with your website, you can add functions that will directly contribute to your objectives (most likely increasing subscribers, sales, or visitor engagement). If you've spent any amount of time online, you know that the number of available site features are endless. Some functions, while interesting and fun, may add little benefit to achieving your goals. Some functions could both confuse new visitors and consume significant resources (both in terms of creation and maintenance). You'll want to avoid elements that don't add to the success of your website (profitability), regardless of how popular or cutting-edge they seem. With all of that said, here are ten proven features you can add to your website to help it drive more traffic, build your email list, and increase your sales online. Having a user forum on your website where members can help members, share ideas and receive support directly from your company is a great way to keep people engaged on your website. While requiring an investment of time to moderate the forum, this can be an effective way to engage clients, and to generate significant website traffic—ultimately leading to more sales for your business. Another popular option (and one that requires less technical know-how) is to create a Facebook Group (different from a Facebook Business Page) for your prospects and/or customers. More and more people are spending more and more time on social media networks to connect with businesses and brands and get news and information. You can tap into these social media platforms to reach people and drive traffic back to your website. Facebook, Twitter, and LinkedIn and photo sharing sites like Pinterest and Instagram are some of the top social media networks you can tap into to find and attract new customers. While most people think of social media as a free source of traffic that takes a lot of time to get involved with; there are also many paid traffic methods you can use with social media including Twitter advertising and Facebook paid advertising. If you don't want to learn how to market on social media or spend time managing paid advertising campaigns you can always outsource your social media marketing. Though it can be time-consuming, maintaining and regularly updating a blog on your website can be a very effective way to get free traffic from the search engines and a good way to keep existing clients up to date with your business, offerings, and sales. A well-written blog is a great way to build site traffic and share your industry knowledge and insight. Writing good quality content on a consistent basis is a way to get higher search engines rankings and get free traffic from Google. If you plan on using a blog as a way to get higher rankings in the search engines and generate free traffic for your website then you'll want to regular add good quality original content on a regular basis (at least one new blog post a week). If you just want to use a blog as a way to keep up to date with existing customers then you can just add new blog posts as needed. 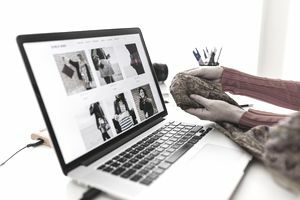 If you have a significant amount of products for sale on your website or if you're primarily an e-commerce based business, then you'll want to utilize an attractive product catalog on your website. Without a properly built catalog, your prospects will abandon your site and move on to an easier to navigate a site. The catalog should be searchable, both by key terms and by product category. Sometimes clients know what they want, and other times they want to see what you offer. A dynamic catalog offers the best user experience. If you plan on starting an e-commerce based business you may want to look into a proven e-commerce service provider like Abaco Small Business (formerly Yahoo! Stores). Similar to blogging on your website, an email newsletter is a great way to build client loyalty. If you're already blogging on a regular basis then maintaining an active email newsletter is easy—you just email your email list subscribers announcing your new blog content. You will definitely want to use a third party email autoresponder service, like AWeber, for your newsletter; which offers tools to generate signup boxes for your website and great tracking tools. Another best practice is to offer some type of free offer, like a special report or checklist, to incentives people to opt-in to your email list. Online media (photo, video, testimonials) display your products in use, show product benefits, or actual users comments on how they used/liked specific products. A photo gallery with multiple images of your product taken from different angles—will help your visitors get a feel for the product. Host your images and video on your site directly, or with a media host (like Flickr or YouTube). Depending on your type of product, this can either be useful for after-the-sale service reducing calls to your support line or can help make more sales by showing how the product is used. You can also use videos to generate interest and drive traffic to your website. Marketing videos should be shorter (around 1 to 5 minutes) while your onsite content videos and training can be longer. YouTube is currently the 800lb. gorilla of video marketing, so you'll want to upload your videos directly to YouTube. Right now, uploading your videos directly to Facebook is a great way to get more video views and traffic so you'll want to post a video to your Facebook page as well. Either through affiliate programs or directly placed ads, appropriate advertisements can add value to your site, and introduce your clients to complimentary service providers. This may sound counterintuitive, but having advertisements on your website can actually add value for your visitors; showing them relevant products and services that can help them solve problems and add value to their lives. Did you know that your About page is one of the most visited pages on your website? We, humans, are a curious sort, so tell your visitors about you—not just the typical stuff like your name, where you live, and a list of your credentials (like education, certifications,etc.). Rather, use this opportunity to really connect with your visitor at a personal level; share your story of why you do what you do, what you are passionate about your field, and how you can help your visitor get the outcomes they are looking for. You'll want to be sure to include a photo of yourself to your visitors can place a name (and website) with a face. Provide free content on your website in the form of downloadable pdf files. These reports are a valuable means to educate your prospects, aiding them in making a buying decision. Often called white papers, this content puts the power in your prospects hands. By educating them, you help them to make an educated decision. These site functions are great, but there is a note of caution. Be sure to consider your site design, as you choose which ones to use. It's important that each function will contribute to your specific site goals and objectives. Often it's best to begin with the basics and then add each function slowly, seeing which ones work and which aren't a good use of your time, energy, or money.